Triantafyllos D.Papazois was born in 1919 at Kilada,a small village near Kozani, a town in Northern Greece. He was a Major-General of the Greek army in retirement. During his career he served as a commander of several Army Units and as a staff commanding officer. He had been honored with bravery medals for his war activity. He was professor of Tactics and Strategy in the Higher War School as well as commandant of the School of Tactics for higher officers (STAS). While in service at the Greek army he devoted many years to the study of the ancient Greek history and specifically that of Macedonia. After his retirement he started a long and thorough research of the identity of occupants of the royal tombs at Vergina. His research was based on the sources of ancient Greek historians. “The Royal Tomb II of Vergina reveals Alexander the Great”, Thessaloniki 2002. Several relevant articles of him were published in Greek newspapers and archaeological magazines. 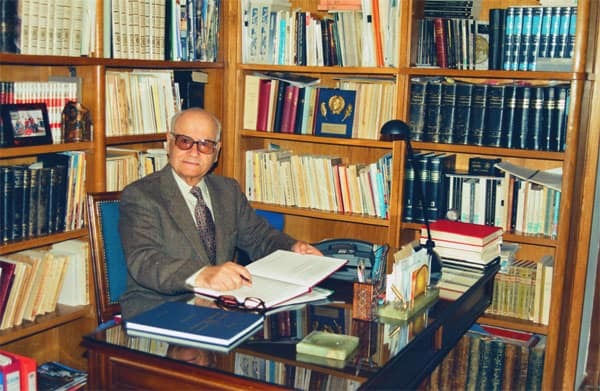 He was a contributor in archaeological subjects of the Greek magazines “Achaeology and Arts” and “History”. He devoted many years to the study and research of the identity of the royal tombs and their occupants at Vergina.